Welcome to Flagstaff Insight Meditation Community (FIMC). We are dedicated to fostering a welcoming refuge for all people to explore meditation, mindful living, and the teachings of the Buddha. We are committed to cultivating an appreciation of the value of diversity and to acknowledging the need to recognize and dissolve barriers that separate us from each other. We open our doors and hearts to all social identities including, but not limited to, all races, classes, sexual orientations, gender identities, ages, abilities, cultures, and ethnicities. Due to weather, the sit is cancelled for Monday, December 31, 2018. Be warm and be safe. On Monday, January 5th, at 7PM, there will be a Dharma talk followed by a sitting meditation. Please stay for an optional discussion afterwards, beginning around 8:15PM. Please see Activities & Location for more details and location information. FIMC has signed a Lease! We have received amazing support from our community and FIMC has come to a lease agreement with the landlord for the B-3 location on 4th Street--previously called Bell Garden. We look forward to seeing you in the space! Many blessings, FIMC Board. Just as the realization that the watering hole in the middle of the desert is a mirage, the Buddhist teachings on emptiness help us to see clearly through the “mirages” our minds create that cause stress. Join us in exploring the practice of emptiness by engaging in silence and in continuous mindfulness through sitting and walking meditation. Through this practice of mindfulness, we will take the philosophical understanding of emptiness and bring it into our practice. This direct experience of emptiness brings a deeper sense of freedom and contentment into our lives. The retreat is designed for beginners and experienced practitioners alike. There will also be time for discussion. One of the unique qualities about the FIMC is its commitment to offering all events freely, which allows us to co-create a culture of open-hearted and reciprocal generosity. Within this context, there are a variety of opportunities for volunteers. Please take a moment to let us know how you would like to contribute to this community by filling out this brief survey. Thank you for your time and willingness to nourish our community! Thank you for your practice and your interest in the Dharma. 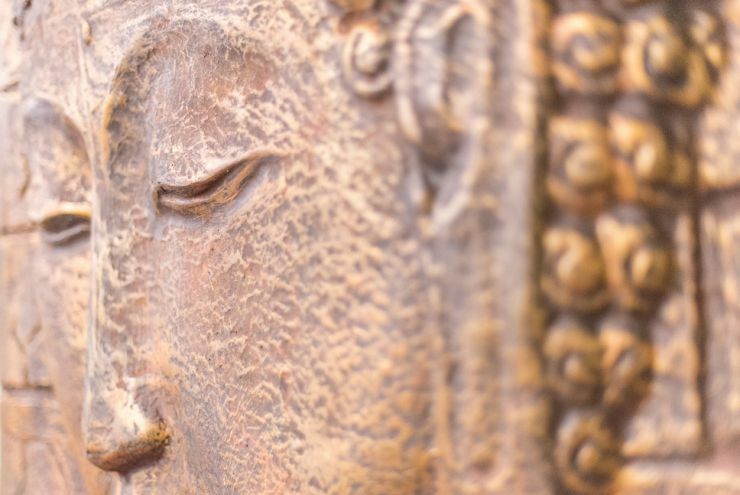 Flagstaff Insight Meditation Community exists to serve you and the rest of the sangha to work towards our freedom from suffering and to create a thriving Buddhist community in Northern Arizona. We are now at a crossroads and we need your participation in the next step. The generosity of the Bell Garden group has allowed us to use our current space for the past 6 or 7 years based on what was given as Dana (financial support) each week or on each retreat. They are ending their lease and now our community is considering to taking on this lease for one year to keep our current programs and to examine our space needs and consider our next step. The Board will be considering several options for housing our sits and retreats during this next year. The input from the January 22 meeting has been documented and the ideas will be further discussed in community meetings to be held this spring. This process represents a change in how our community manages our aspirations and intentions. FIMC is committed to serve the community with the policy of Dana, the ancient Buddhist tradition which respects that everyone is welcome regardless of whether they can contribute. Dana practice respects more of a sacred economy rather than the consumer economy we are all faced with each day. Why is FIMC Asking this of its Community? As part of this process it is necessary to have a budget to work from, to cover the costs of the lease and other expenses such as utilities and insurance, estimated to be about $15,000 for the year. A community meeting was held on January 22 and about 30 Practitioners attended, discussed ideas, concerns and dedication to this plan. The Board members and teachers in the community along with many at the meeting, have made financial pledges for 2019 so that the Board has a predictable source of income. We are asking you to also consider a pledge of support over the next year. Make a pledge to FIMC for 2019 today. As you will see, we would like to know what total contribution will be, and then specify how you plan to make the payment, as a monthly or one-time contribution. In order to make that donation, we accept various methods of donations (Check, Bill Pay, Credit Cards, PayPal, etc). Please see our online documentation for many different Donation Methods. Some methods can be setup to automatically be sent every month (see Bill Pay, and PayPal). If you do not have sufficient resources at this time to participate, thank you for your continuing participation in our community. We thank the community for all that you do for FIMC and one another, and we look forward to being able to continue and serve everyone in the future! Checkout The FIMC Facebook Page!